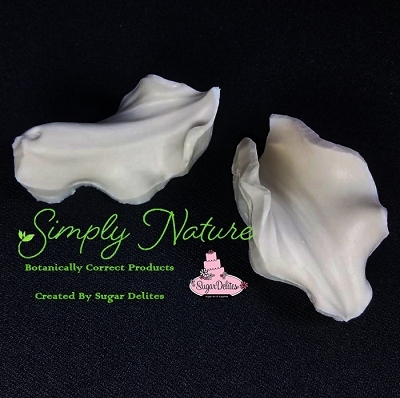 Calla Lily Petal Cutter Small by Simply Nature Botanically Correct Products®, was designed by Jason Dontz and Jennifer Dontz of Sugar Delites, and creates the most realistic Calla Lilly petal interpretation possible. The Small Calla Lily petal cutter measures 3 3/8 " x 2 1/8". 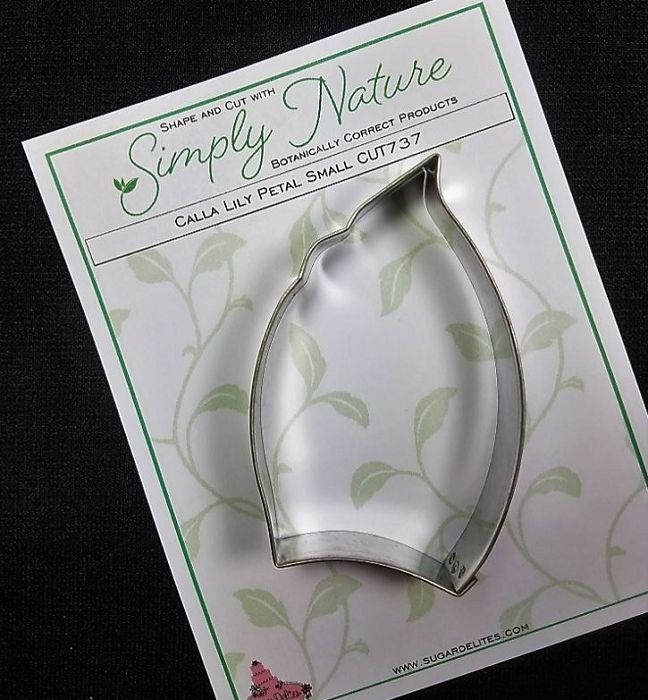 This cutter is designed to be paired with the Simply Nature Botanically Correct Small Calla Lily Petal Veiner (VEI218). When paired together, Simply Nature brand cutters and veiners will create a detailed botanically correct replication of nature.